Bobolinks are rarely seen on the Cedar Creek property itself. There are records of Bobolinks along the western, northern, and eastern edges of the property, and 1 km south of the property. There is no positive breeding evidence on the area. 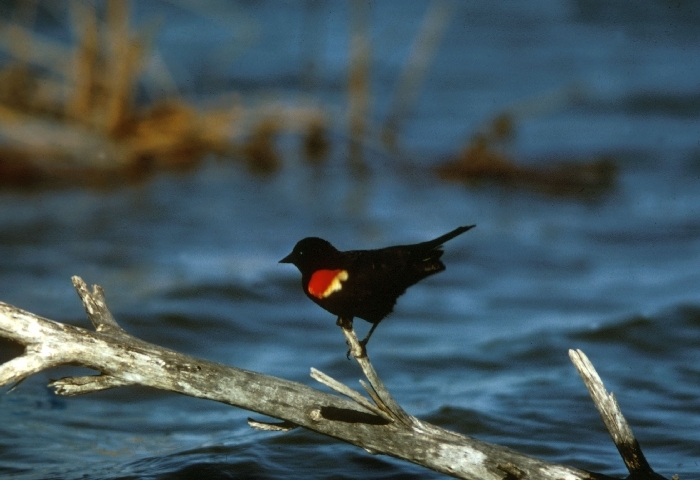 Red-winged Blackbirds are abundant at Cedar Creek. They probably breed in all of the cattail marshes and in many of the other marshy areas. The first males return to Cedar Creek by about April 1. Vast flocks of redwings and grackles may roost in the marshes west of Fish Lake in October and early November. 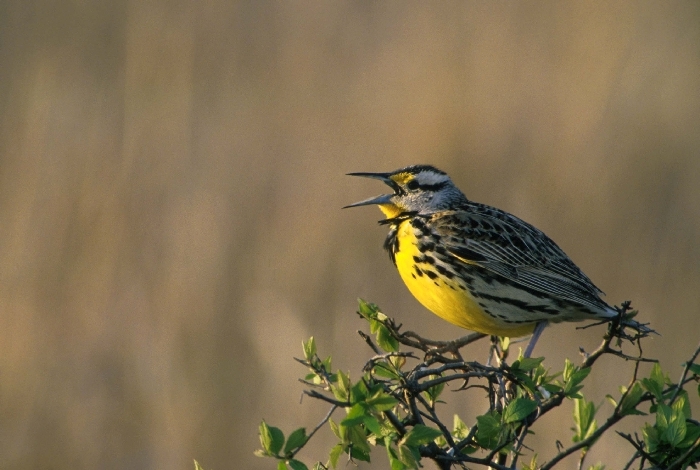 Eastern Meadowlarks are common in the fields southeast of the Peterson farm, and may also be present in the fields along 24 and 26, and other fields. 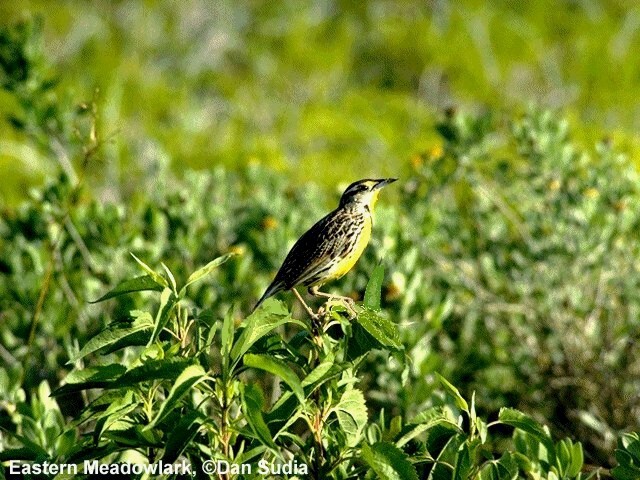 Western Meadowlarks are not common at Cedar Creek. They can most dependably be found near the intersection of 24 and 26. A colony of Yellow-headed Blackbirds generally breeds in the large marsh west of Fish Lake. Numbers vary from year to year, and in very dry years they may be absent. 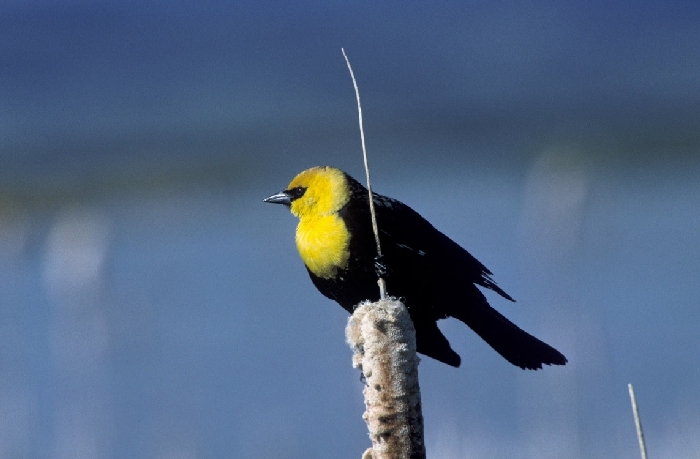 Yellow-headed Blackbirds have also bred in the cattails along the north shore of Fish Lake and in marshes southwest of the area. Rusty Blackbirds are uncommon migrants at Cedar Creek, visiting the wooded swamps there. 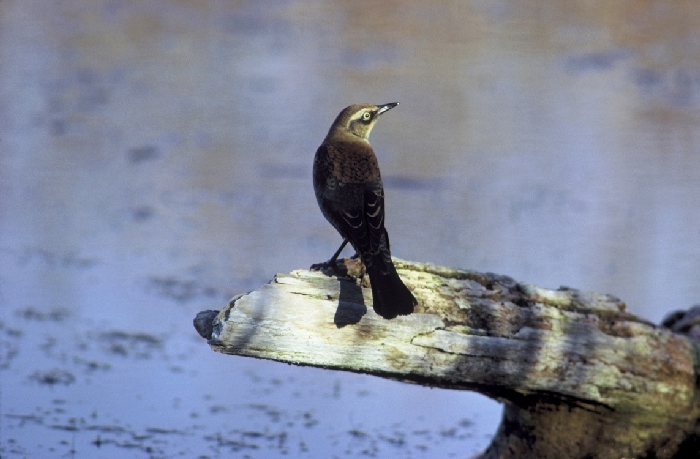 Brewer's Blackbirds are not common at Cedar Creek. They have been seen along 56, and are fairly common in some of the farmland adjacent to the area, and on the median-strip of Highway 65. 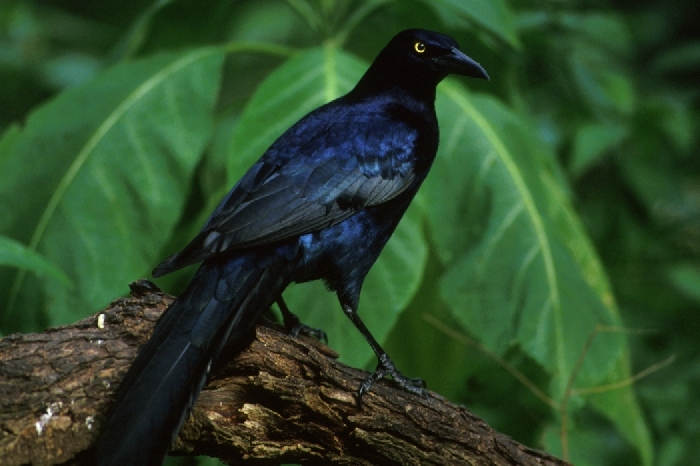 Grackles are common breeders along the north shore of Fish Lake and breed uncommonly in residential areas adjacent to the area. Immense flocks of grackles pass through the area on migration, and large flocks occur occasionally on the area even in the summer. Grackles occasionally winter in the Cedar Creek vicinity. Cowbirds are conspicuous at Cedar Creek in the spring, but are much less noticeable from June onwards. At Cedar Creek cowbird eggs have been found in the nests of Least Flycatchers, Ovenbirds, Common Yellowthroats, Rose-breasted Grosbeaks, Rufous-sided Towhees, Field Sparrows, Lark Sparrows, and Red-winged Blackbirds. Cowbird fledglings have been found being fed by Red-eyed Vireos, Scarlet Tanagers, Golden-winged Warblers, Nashville Warblers, Black-and-White Warblers, Common Yellowthroats, Indigo Buntings, Field Sparrows, and Song Sparrows. At Cedar Creek cowbirds do not parasitize cavity nesters, jays, and apparently not such suitable and common hosts as Cedar Waxwings and Eastern Phoebes. 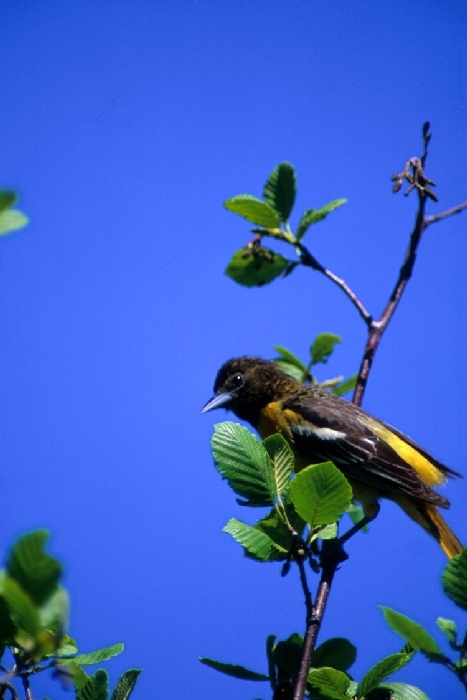 Baltimore (Northern) Orioles are common breeders at Cedar Creek, especially where marshes border woods. Aspen branches hanging over water seem to be preferred nest sites, but oaks and large birches are also used. Their fledging success apparently is high, which is reasonable since their nests generally would be safe from raccoons and crows.